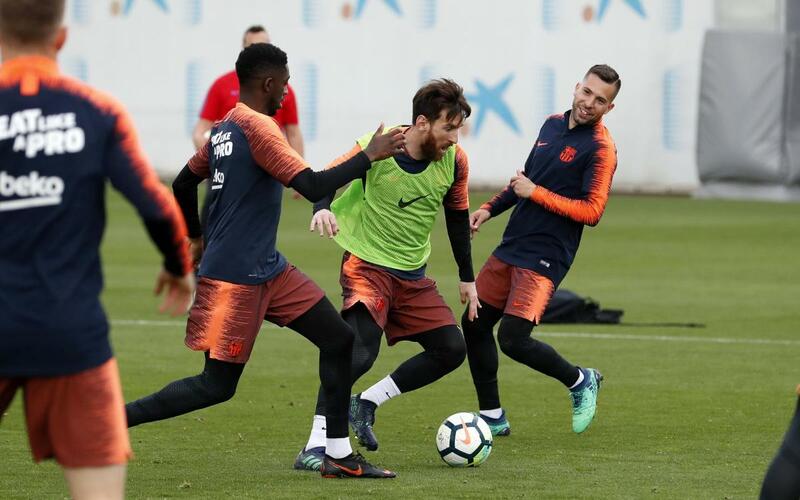 Ernesto Valverde had all 22 available members of the squad under his orders on Tito Vilanova field, including Andrés Iniesta, who on Thursday had done specific exercises in isolation. Summer just doesn’t want to kick in properly in Barcelona, and it was still unusually chilly for this time of year with the odd spot of rain over the Ciutat Esportiva as well. But there was nothing cold or damp about the Barça players’ spirits, who know that they are just four games away from getting through a complete league season without defeat. The hardest hurdle yet to cross is probably the 8.45pm kick-off this Sunday against the side currently ranked third and massive 15 points adrift of the already mathematically confirmed champions.